Bali Cooking Class with Canting Bali, Beautiful Balinese Home Cooking Class in near Ubud, Discover the secrets of Balinese food. 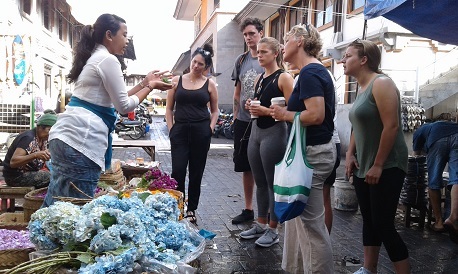 Learning about the secret of Balinese cuisine from the original recipes and kitchen, shopping in traditional Balinese market, meet with local people and culture. 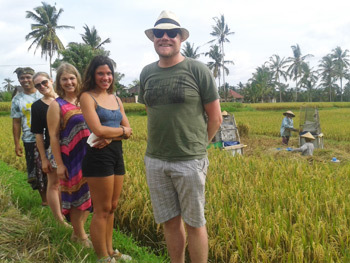 Canting Bali is located in the beautiful place overlooking rice paddy in Ubud. Proudly owned and operated by Balinese. We support local culture and local business. Free shuttle service for Ubud area. Book Now! Enjoying the Balinese way of cooking can be a wonderful thing to experience during your visit to the “Island of the Gods”. 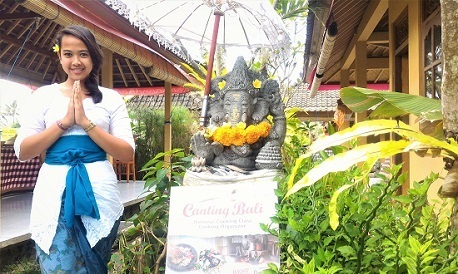 At Canting Bali Cooking Class, we would love the opportunity to teach you how to make Balinese food. 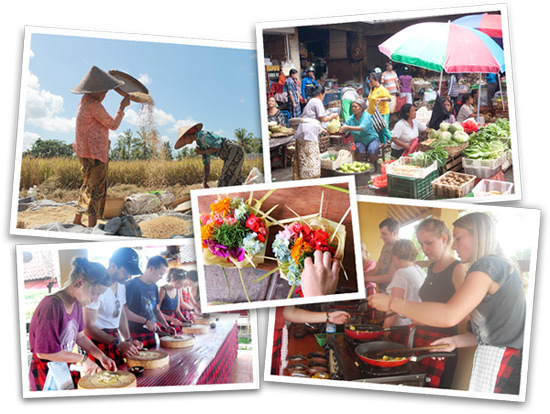 We are located in Laplapan Village and all of our classes are conducted in a traditional Balinese-style kitchen that is typically found in our village. 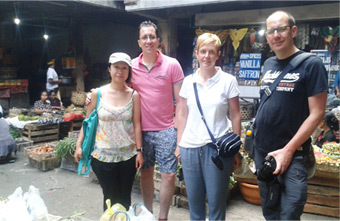 The environment is safe and friendly and English speaking local guides are there to help you. Balinese food has a specific character and spices have an important role in creating the unique flavor. 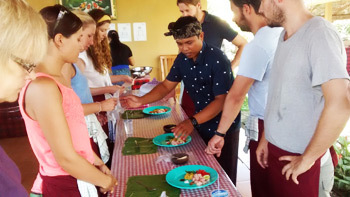 You will be taught the traditional methods for preparing Balinese food, including how we utilize the special tropical plants, roots, and herbs found on the “Island of the Gods”. 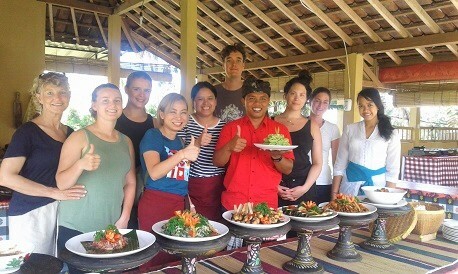 We have special Cooking Class Program to guide you to learn and make Balinese menu (Vegetarian or Non-Vegetarian menu), all menu will be made by your hand self, then you will savor the delight that you have for lunch or dinner. 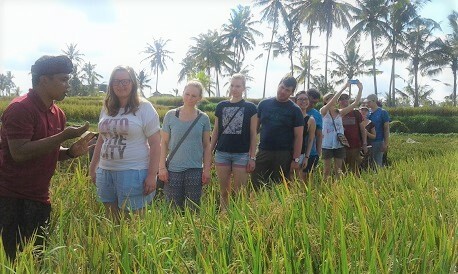 This you’ll find in our program; explore the local or traditional market, meet the farmers and learn how they grow rice, and finally, you will learn how to make many delicious menus from authentic Balinese recipes and ingredients. All of the above menu will made by your hand self, then you will savor the delight that you have for lunch or dinner.